Painting an office can have so many benefits, including revitalising employees and productivity. A new colour scheme for your office walls can also assist with branding and the overall company image. An employer wouldn’t be wrong to assume a new coat of paint on the office walls could bring a much-needed freshness to the office environment. But, there are many things to consider before proceeding with a new colour scheme for the walls. Firstly, it would be wise to avoid painting your office white or grey. While white may signify peace, calmness and prosperity anywhere else, in the office it can create a sterile and dull feeling. It is reminiscent of a hospital bed and no employer wants their employees to feel like that at work! Choose bright colours in soft tones. In Singapore, many employees are suggesting blues, greens and reds. These colours are motivating and can boost the morale and productivity of your workforce. It is important though to keep your corporate style guide and your industry in mind when choosing wall paint. If your company provides environmental services, repainting with earthy tones may be the way to go, rather than reds and orange. It is important to remember contrast and you should paint your office in contrast with its design. So, if you have dark doorframes, windows and furniture, bright colours will pull everything together for a nice flow effect. Remember to think about your curtains or window shades too when choosing your new office wall colours. While contrast is important, you don’t want your colours to clash. A growing trend in Singapore is to add some graphics or artwork to the walls. It gives the walls some life and interesting pieces can be great conversational topics with customers. In addition to this, it gives the younger generation in the workforce a feeling of working somewhere trendy and cool. There is a tendency to forget about areas which aren’t used frequently or readily visible. But it is important to remember these areas. A fresh coat of paint everywhere else in your office expect for one meeting room can create a negative impact when that room is finally used. Painting the office can be very important but if you are going to redo the office walls entirely, perhaps give some thought to the extras. Like a decorative vase at reception or some fresh flowers in the lobby. Another idea is to showcase the artwork of your employees’ kids in the lobby or in the hallways. It may seem unusual but it will certainly boost the morale and goodwill of your staff when you take an interest in them beyond their productivity. But the most important thing of all is to remember the finishing. If this is done incorrectly then the rest of the work was in vein. Clean walls and proper finishing methods are important to pull of the fresh, new, look of your office. 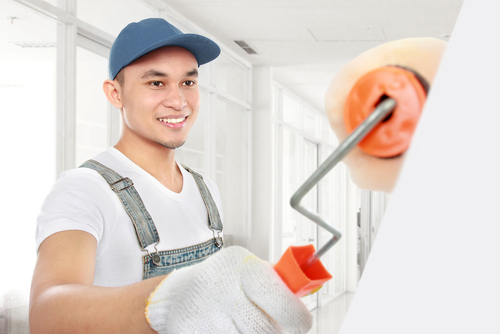 · Experience – painters with experience will deliver better results and will have a better understanding of the unique needs of their customers. They will also be able to give advice on the paint colours you’ve picked for the office and on how to create contrast without having a colour scheme that clashes or may create an anxious or dull environment. An experienced painter will also not ignore their surroundings, which means that accidents and spills are less likely to happen. When you’ve located someone with experience, explaining what you are looking for and the effect you want to create will be easier. · Creativity – a painter who is experienced and creative will be able to ensure that you are truly maximising your desired impact. They will be able to provide insights and assistance on assorted colours for different areas and what decorative accents would work best. They will be able to provide guidance on your theme and advise you on possible layouts for your office that will complement the overall effect. · Uses the wrong colours, ignores your direction or uses a bad colour combination that clashes – this is, obviously, poor customer service, inferior quality and terrible attention to detail. · Paints over dirty surfaces or moist surfaces – for the new paint on the office walls to stand out, it must be cleaned properly and not damp or moist. 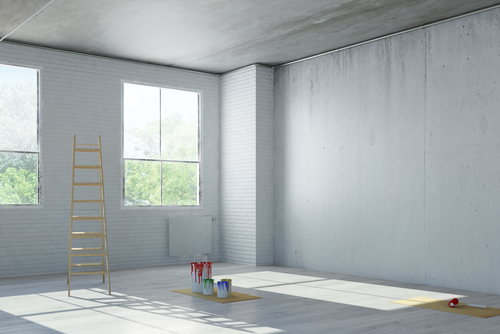 Painting over dirty or moist walls can impact on the final effect and result in wasted time and resources. The result always looks low quality. · Ignores the surroundings – this causes accidents, spills on the carpet or furniture or a sloppy finish. · Skips over using a primer – using a primer is a necessary step in painting. It ensures that the paint stays nicely on the surface and skipping it can create problems in the future and with the quality. It also acts as the base of the main colour and without using it the colour may not turn out as expected. · Doesn’t do a test batch – it is important to do a colour combination from the computer sets, but don’t forget that this doesn’t usually represent the real room. A test batch ensures that the colour and result are right and don’t differ from expectations. It is critical to test a small part of the office walls prior to commencing the full paint job. · Poor preparation or uses the wrong brushes – it is important to work quickly and efficiently but working in haste can result in an inferior quality of painting. It can leave marks on door handles and windows. It is also important that the painter uses the right paint brushes and high quality paint brushes. · Incorrect usage of painter’s tape – removing tape too early can leave marks on the wall. An inexperienced painter may pull the tape when the walls are dry but this will also take off some of the paint, making the finish look sloppy. · Uses too much paint – the overuse of paint will mean that it will crack as it dries. · Paints the ceiling last – by completing the ceiling last the painter is more likely to make a mess of the freshly painted walls and of the carpet.